Provide musicians with a new and refreshing source of psalms for the major seasons and celebrations of the Church year. Singing the Psalms is a diverse, five-volume collection of 120 contemporary psalm settings and canticles composed by dozens of outstanding musicians. This series features settings for Sundays and feasts throughout the year. It also provides scriptural, seasonal, and ritual indexes, guitar charts, and reproducible lyric/melody editions of assembly responses. Each volume has five components which are sold seperately: a Unison/Keyboard Book, a Choral/Guitar/Instruments Book, a set of 2 CDs, and Choral Refrain editions. Each volume has five components which are sold separately: a Unison/Keyboard Book, a Choral/Guitar/Instruments Book, a set of 2 CDs, and Choral Refrain editions. 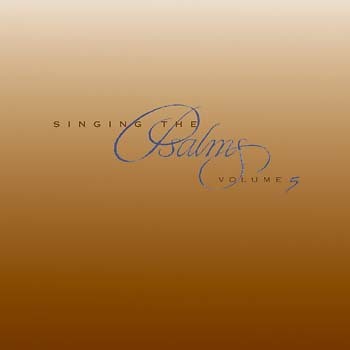 Featuring 24 psalm settings and canticles composed by dozens of outstanding musicians, this collection constitutes the fifth volume in a five-volume series entitled Singing the Psalms. This diverse series features settings for Sundays and feasts throughout the year. It also provides scriptural, seasonal and ritual indexes as well as guitar charts and reproducible lyric/melody editions of assembly responses. All the settings are responsorial, that is, antiphonal in structure. Helpful indexes are provided in the back of each volume to aid musicians and liturgy planners. This volume has two components: a unison/keyboard book and a choral refrain edition. Invite God into your midst by raising your voices in song with this wonderful collection of psalm settings and canticles for the major seasons and celebrations of the Church year.